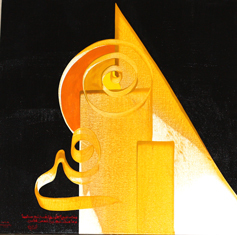 Hassan Massoudy, with permission of the artist. 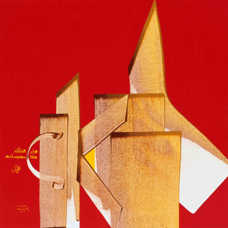 All rights belong to Hassan Massoudy. 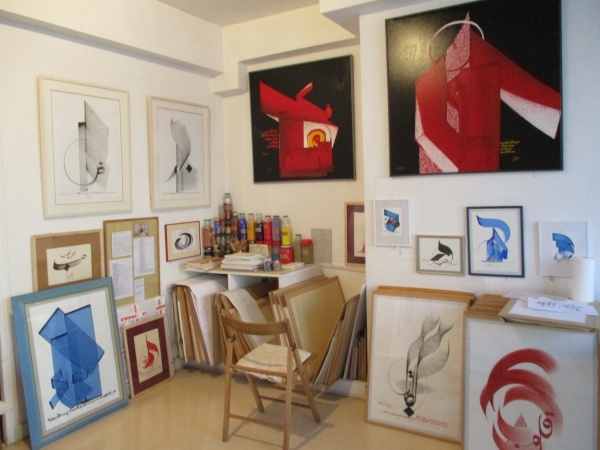 I met Massoudy at his study along the river Seine in Paris, where we spoke at length about the unique combination of influences—both traditional and modern, Arab and European– that led to his body of work. This notion that calligraphy was not simply writing, but the act of making manifest an internal emotional experience is one that would stay with Massoudy for the rest of his life. He would soon learn about his own gift for calligraphy when he was ten years old, and his Arabic teacher pulled him aside and encouraged him to focus on his handwriting. “It was the first time I knew that I wrote beautifully,” he told me. Soon, word spread, and the principal asked him to write announcements for the school—his first commissioned work as a calligrapher. At that time in Najaf, calligraphy was no longer thought of as an artistic trade, but as a practical one. Billboards, signs, and wedding announcements were all still done by hand: when someone required a message written beautifully, he would pay a calligrapher to do it—a more modern expression of the traditional role of the scribe. Massoudy began taking small jobs, and even worked writing announcements for an English language newspaper called The Duty. He didn’t know the rules of writing in the English language, and so he simply taught himself how to copy out the shapes. By the 20th century, calligraphy was used in Baghdad for street signs. 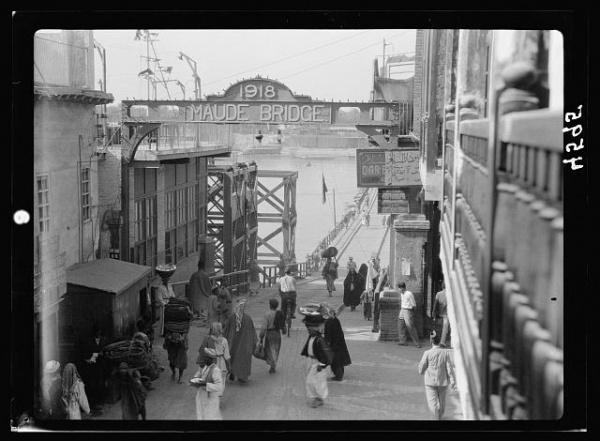 Notice the hand-written signs here in both English and Arabic: Maude Bridge, Baghdad, early 20th century. Collection of the Library of Congress. 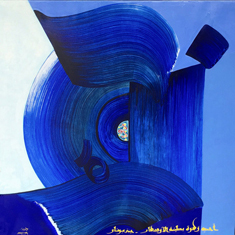 Massoudy arrived in Baghdad in what would be a critical year in the modern history of Arabic calligraphy. Hashim al Baghdadi, considered among the greatest calligraphers in the world, had come to Baghdad to teach. 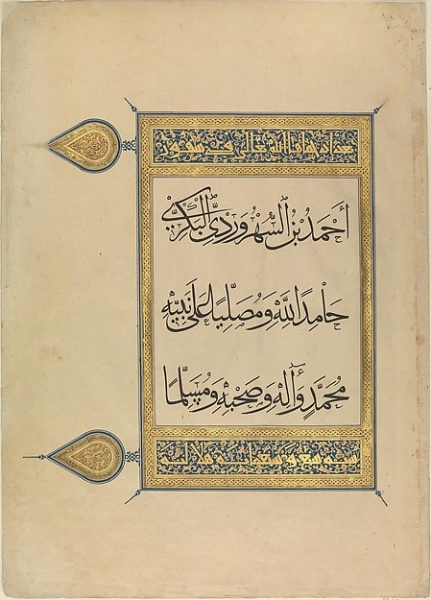 That same year, he published his book The Methods of Arabic Calligraphy, which outlined the techniques for writing calligraphy in various styles, and which became the reference for calligraphers throughout the Arab world. Eventually, al-Baghdadi’s calligraphy would adorn mosques throughout Baghdad, as well as Iraqi banknotes. Massoudy credits al-Baghdadi for completely changing the atmosphere around calligraphy in Baghdad, reminding its practitioners that it was not only a trade, but above all, an art form. In 1969 Massoudy traveled to Paris to study at the Academy de Beaux Arts, convinced that the political situation in Iraq would make it impossible for him to fully express himself as an artist. 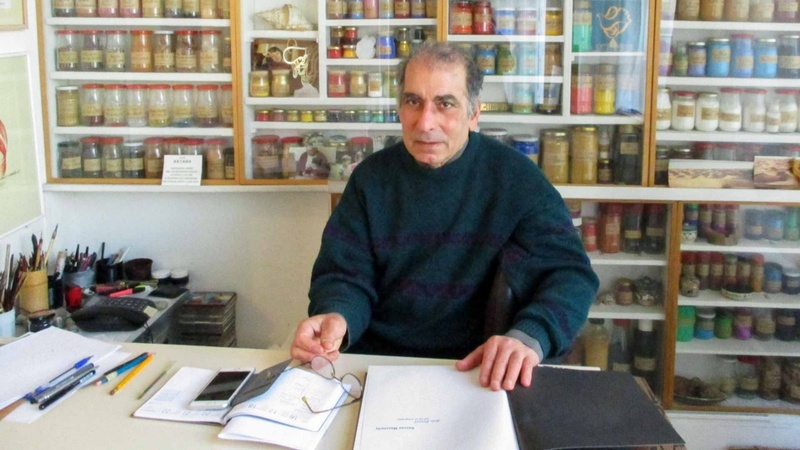 He had 150 dinar in his pocket when he left, and he found work on the side doing calligraphy once a week for the journal of the Algerian Embassy. In the meantime, he discovered an entirely new world at the Academy: working in portraits, mosaics, tapestries, frescoes. At the same time, he was meeting artists working in the movement of lyrical abstraction: abstract paintings using bold colors, often engaging with geometric patterns. The paintings were both radically new, and at the same time strangely reminiscent of the calligraphy he had grown up around in Najaf. He began to wonder if the art he was learning in Paris needed to be entirely separated from the calligraphy he had loved in Iraq. “I thought—maybe I can use calligraphy in an artistic way,” he said. Slowly, at home, he began to experiment, daring to approach a previously uncrossed line. He painted movements in color, and then wrote small sentences in calligraphy next to them. Then one day, he painted calligraphy in color for the first time. Today it may seem like a small act, but at the time it was an incredibly audacious one. Until then, calligraphy had been governed by strict rules. His decision to merge calligraphy with abstract painting and bold colors was nothing short of revolutionary. Emboldened, he paired with friends who were artists, and they traveled throughout France as ambassadors of Arabic calligraphy. One man would read poetry. Massoudy would paint calligraphy, which would then be projected on an enormous screen for visitors to watch. Sometimes an Iraqi oud player would accompany them. Ten people would come to watch; or seven hundred. Now calligraphy was no longer even writing: it was performance, emotion, color. It was shared experience; an event. Today, Massoudy is known for works of calligraphy executed in in vivid hues, often on large format backgrounds—words that seem to dance on the page. He still mixes his colors freshly every day that he works, fixing the color and pigments. His calligraphy still expresses the beauty of Islamic tradition—frequently quoting Ibn Arabi, Rumi, and other Sufi masters— but he also feels free to draw from other religious and secular traditions, translating phrases from Confucius, Kabir, and Rousseau into Arabic calligraphy. His paintings usually contain a quote written on the bottom in small letters, with one word from the quote enlarged at the center of the piece, a symbolic heart that pulls the viewer into the essence of the message. “There, do you see that blue?” he asks me, pointing to a recent work. “It’s three different kinds of powder.” When he first arrived in Paris, it was easy to find powders to mix paints in Paris—in a combination of natural and synthetic dyes— but this, too is disappearing. He searches for colors all over the world, collecting them from Germany, France, Morocco, in a love affair with colors that has now extended over decades. 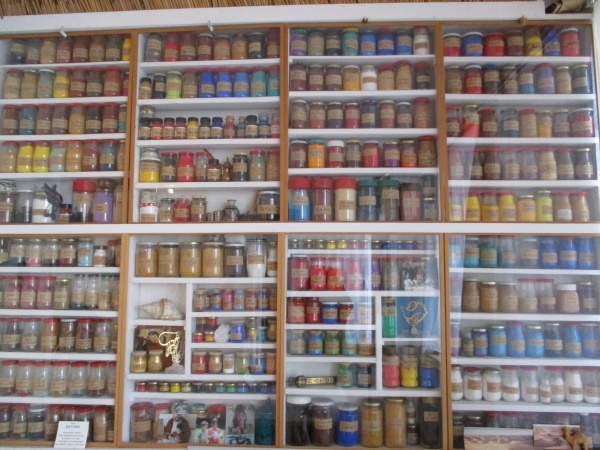 “There are colors I’ve been saving for forty years,” he says. In the meantime, as calligraphy once again spreads throughout the Middle East, drawing new students in Egypt and the Gulf, Massoudy quietly continues working in Paris. Though his works are now in the permanent collections of several dozen museums throughout the world, including the British Museum and the Museum de Quai Branly in Paris, he still opens his gallery for visitors one Saturday a month in a practice that harkens back to his own master, Hashim al Baghdadi, and the world of his youth in Iraq. And with each work, he reminds us of the art that was only made possible when a young man from the desert became a master in his tradition in Baghdad, traveled to France, mastered French tradition, and had the ingenuity to bring the two together to make something new.